Are Cats Also Smart (as Dogs)? Having four cats and seven dogs and ten horses has given me to opportunity to look at cats’, dogs’ and horses’ intelligence. Many people often say that dogs are more intelligent than cats and horses but in my own experience it may not really be so. Cats are pretty smart animals that have a totally different temperament than dogs. While dogs seek attention and acceptance from us and the other dogs and animals, my cats and on the other hand seek personal happiness and fulfillment. But unlike most belief cats are not as selfish as what others perceive. They can show much love and care not to mention a decent amount of smartness. A lot of people think that cats are not as smart as dogs simply because they operate in a totally different manner as dogs. Cats are normally independent and have their own thoughts and feelings about playing and cuddling with humans. Dogs on the other hand are very needy and want to the approval of their Alpha (in this case the owner). They normally perform poorly in tests of intelligence because these tests are made in the lab which cats normally spot as unrealistic. Dog will perform well in these experiments because they know that they will receive a reward at the end of the challenge. Cats would only cooperate with humans if they feel that the event is beneficial to them. They often get bored and start washing themselves to demonstrate aloofness. Dogs are studied much more than cats. Through thousands of years of domestication and training for the purposes of guarding human life and property, hunting, guiding and so on, dogs have acquired the skills needed by man so that he can seen as intelligent. On the other hand, cats were mainly kept for decorative and appearance purposes in the ancient times. Their aloof and mysterious demeanor have often enthralled royalty and lay men alike. Personally I have many accounts of cats being smart. There is this outdoor cat who I named Unkie who I often feed daily when I go out to buy some supplies. He is a very smart cat. When I call out his name, even from afar, he would come running and galloping towards me. When he sees me, he would give me a head bump to show that he recognizes me. He lives with other cats such as his mother and some other cats their and they do have a harmonious relationship. I have trained him that I would go and put his food on the bench and he would then climb it to get some food. He would then normally do the same behavior to get food. In my research I have found out some traits that show that cats are as smart as dogs or even smarter than dogs in few instances. Although dogs are more social and have larger brains, cats adapt to situations at times better than dogs. They are not motivated as much by food unlike dogs. Cats can also be trained (though this is difficult). Cats can be affectionate and also live in groups and be social. They can even show loyalty! Cats are very independent and cunning. Cats communicate with humans and other cats too. Cats think about day to day life and survival differently than dogs do. They known as wise and expedient hunters. They do not want to waste time and energy in hunting and tiring a prey unlike dogs. Cats prefer for the instant and quick kill. Cats are also very investigative. They want to know what is in very box, nook and cranny. They also meow and cry when they want their furparent humans to feed them. Cats also cover their poop and wary of the smell it has. They don’t normally poop anywhere. I know some people will disagree with this but cats can really be trained. Cats many only acknowledge a person training them if they deem that person worthy to be followed and loved. Kittens normally learn to use the litter box from their momma cat but they may also learn it from the humans who teach them to poop and pee in specific place. Some cats have been trained to sit, stand or even roll over by their owners. Cats may be difficult to train because they think these actions are unnecessary to their life and survival but would only follow if they think it is something fun for them. To train a cat, you must show him that this activity is enjoyable. 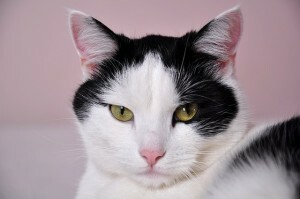 Cats are often misunderstood because they have a changing temperament. Unlike dogs who show constant love and devotion, a cat is normally compared with a hormonal girlfriend. Cats likes lions normally are loving and affectionate to their young. Females normally live together to support one another in raising kittens. Males are dominant and sometimes do not want to be tied in groups but some males prefer to stay with their mothers and family as they grow up. In my personal experience with the stray cats, they normally show love and respect by not taking a food that is already in another cat’s claws or mouth. These cats also give me head bumps and rub on my legs when I see them to show their acceptance of me. The best part of all is that they even send me home as I walk and stop when they reach a certain place to return to their living area near the store. Cats normally theorize about trapping their prays and think about to quickly resolve issues. They have quick responses to stimulus. They are sometimes seen as fearful and wary but this is just a sign of self preservation. Cats don’t need a constant attention and would only cry when they need something from their owner such being allowed to go to the litter box or getting food. They dislike being put on a leash (but I have friends who have done this). Some cats can even open doors and cages! Cats also have very excellent survival skills and body intelligence. They are able to move their bodies in certain ways that allow them to live and survive better than dogs. They can learn how to jump heights, survive a fall and so on in order for them to live well. Cats normally never meow in the wild. They do this to communicate with their human owners. Some cats who know that their owners know them well barely meow at all. They can do paw signals and eye messages too. Cats can communicate with one another through body language. I know that cats and dogs have often been compared and that dogs are normally seen as the smarter animal but we may need to change our view on this theory. There are more scientists dedicated in learning about dogs than cats. A similar comparison between cats and dogs may not be so easy because of their different social endeavors and temperaments.